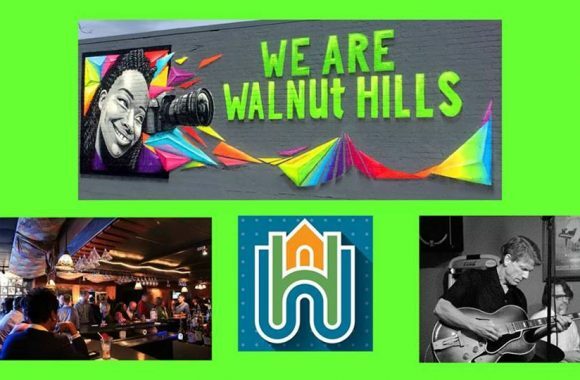 The Walnut Hills Redevelopment Foundation is looking for a grocery store operator to address the food desert situation here in our neighborhood. 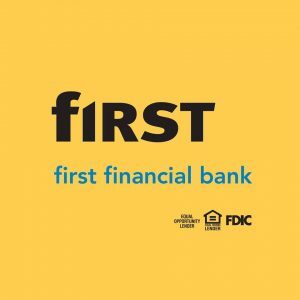 We’re opening a grocery in late summer of 2019 to bring affordable groceries back to Walnut Hills and we’re seeking the best possible person or group to operate it. The ideal candidate has a passion for food justice and experience starting up as well as managing a neighborhood grocery or retail establishment. 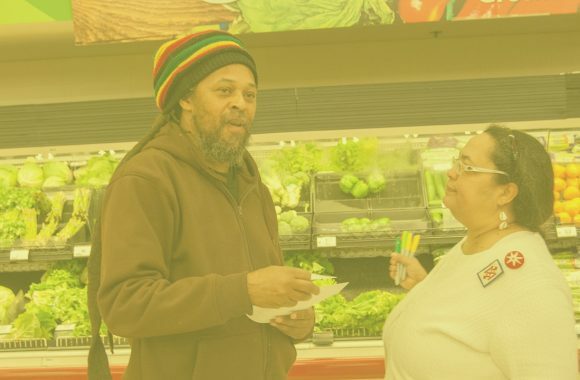 We’re seeking someone who would embrace opening a friendly grocery in a resurgent and diverse neighborhood that also happens to be a food desert. If you’re a passionate food person who’s interested in making a positive impact in a rapidly-growing business district, this could be a great opportunity for you. 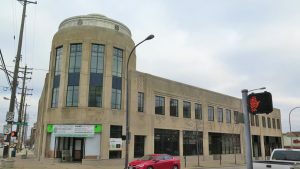 Please send your proposal to Gary Dangel at the Walnut Hills Redevelopment Foundation by 11:59 pm on Sunday, March 31, 2019. The deadline for applications has been extended to 11:59p on Sunday, April 21, 2019. On Valentine’s Day we were out with Walnut Wheels and Trinidad celebrating self love. The first stop was at Frederick Douglass school and the kids were so excited that they ran toward the truck as soon as school let out. 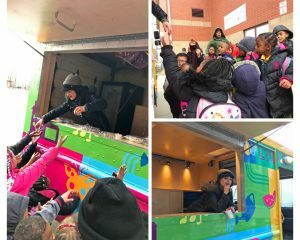 Youth were given pins and a sweet treat. 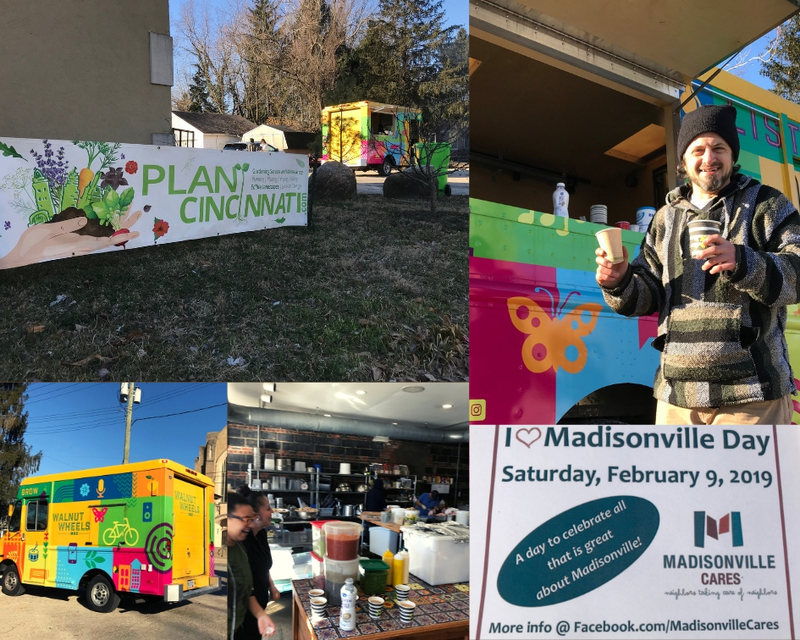 After that, we drove to the Walnut Hills Public Library and gave away hot chocolate, and last we went to the Kroger parking lot with more hot chocolate and community conversation. 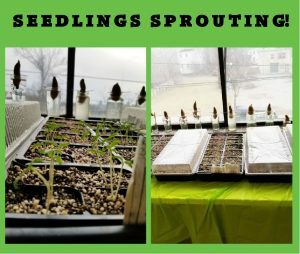 We are growing! Seedlings, that is, to go in the business district flower pots. Flower pots need three things to be a striking display. They need a Thrill, a Fill, and a Spill. 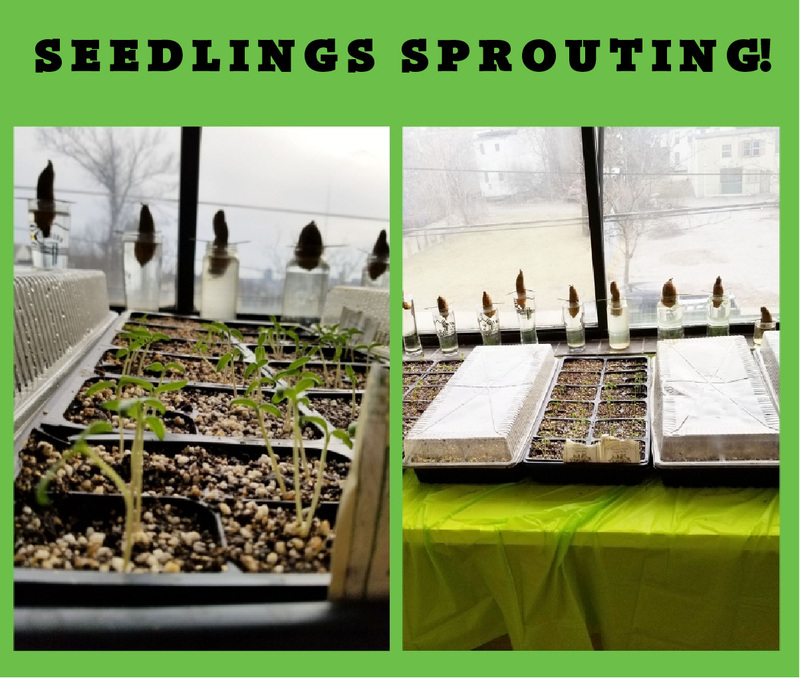 We are growing sweet potato slips for the Spill, patio tomatoes for the Thrill, and peppers and pansies for the Fill, to add color and beauty to our food growing pots. Last year, we planted our first food bearing plants in the pots, and not one tomato or pepper went to waste, so we’re doing it again this year! We will be planting the pots on April 20, if you would like to come out and get your hands dirty. Email betty@walnuthillsrf.org if you are interested. #MadisonvilleDay! at Plant Cincinnati. Delicious sweet potato soup, hot coffee, 17 degree weather, and good neighbors. The WHRF values the work of our residents. An artist we previously worked with has now ventured into Spencer School. 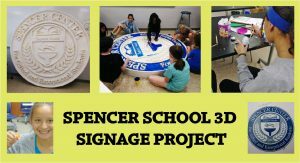 Herschel Marvin Johnson helped lead the youth in designing this signage for their school. 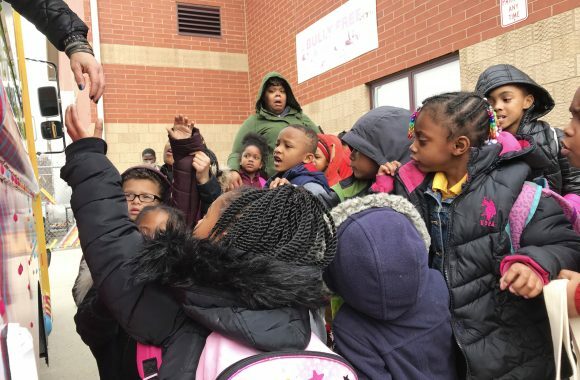 His work is giving the youth ownership over their school and community, while also letting them tap into their budding craftsmanship. 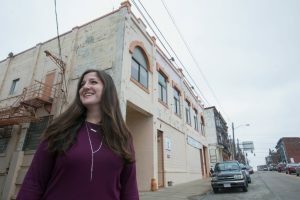 UC grads spur big changes in Walnut Hills! 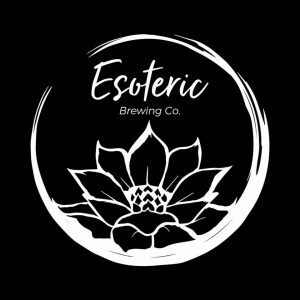 Samantha Reeves, WHRF director of real estate, along with Marvin Abrinica and Brian Jackson of Esoteric Brewery, and Brent Gallaher of Caffe Vivace, were recently featured in UC magazine. Click the photo for the amazing article. 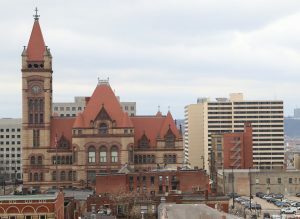 Exciting news as the city seeks to make the first contribution into the trust fund created last year. Click the photo for more information. New tenants are coming to The Model Group’s $20 million Paramount Square development at Gilbert Avenue and E McMillan. 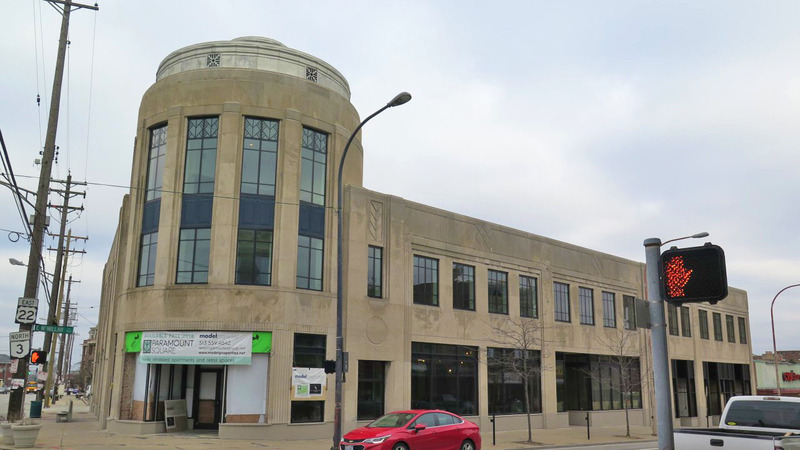 La Soupe, C’est Cheese, and First Financial Bank have all signed long-term leases and will join Esoteric Brewing Company in the historic paramount building. 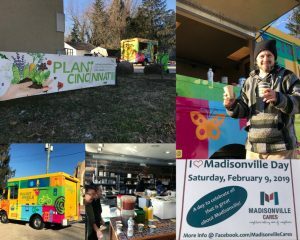 We’re very excited to have this great group of entrepreneurs and businesses coming to Walnut Hills! Join this month’s housing conversation on March 21st and the safety conversation on March 28th. Live in the neighborhood? Well these meetings are for you! Click the photo for more information. 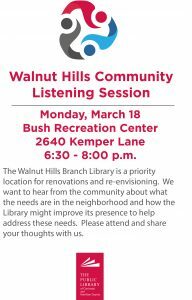 The Walnut Hills Library is looking for your input as they move forward with building improvements. Click the photo for more information. 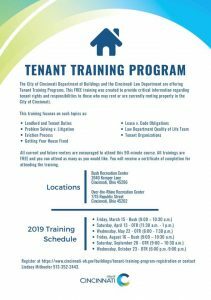 Cincinnati’s Tenant Training Program is offered by the City of Cincinnati Department of Buildings and the Cincinnati Law Department. 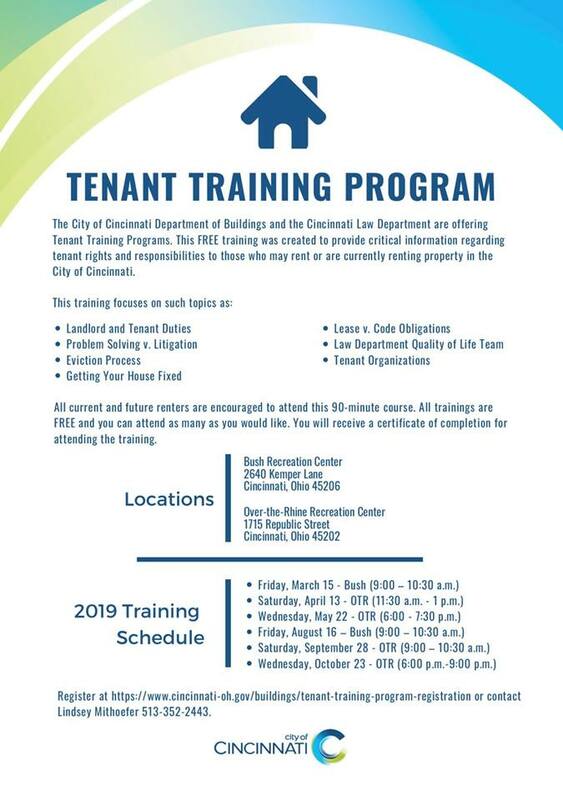 This FREE training was created to provide critical information regarding tenant rights and responsibilities to those who may rent or are currently renting property in the City of Cincinnati. Click the photo for more information. Save the date for April! 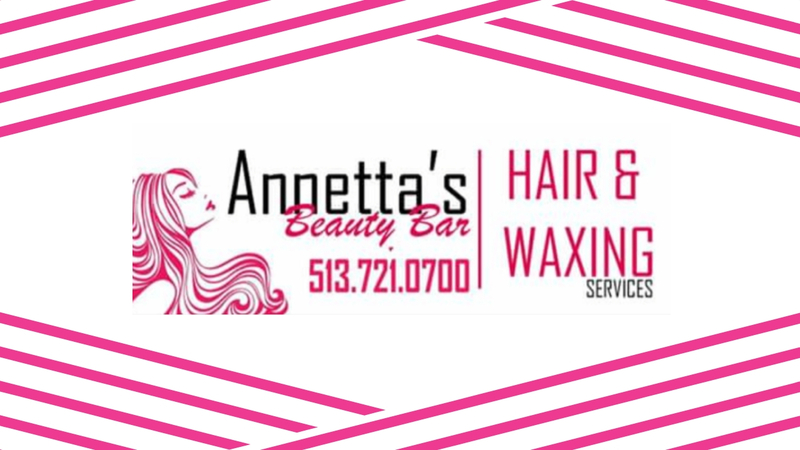 Annetta’s Beauty Bar presents “Pop Of Pretty”. Get great deals on hair products, skincare products, clothing, accessories and more! 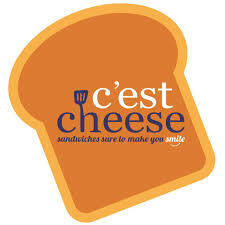 Network with local vendors! Enter for a chance to win a swag bag! April 13th from 3-8 pm. 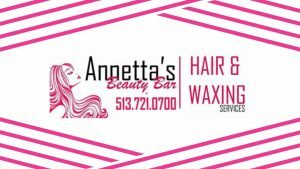 Located at Annetta’s Beauty Bar 660 East McMillan. For more information call the number above. Click photo to enter their website.